I recently wrote about Macy's "Heart of Haiti" gift ideas, which are a wonderful way to buy gifts and help those in need. Here's another one of those posts that deserve extra notice. World Vision also has a gift catalog that can literally make a world of difference in many people's lives. Did you know that more than 800,000 people around the world were impacted by gifts last year through World Vision’s Gift Catalog that didn’t come with decorative paper or ribbon? -Goats ($75): One of the most popular gift items! The milk provides protein for children and the surplus can be sold. More than 20,000 goats were purchased last year. -Feed a family in the US for a day ($16): 1 in 5 children lives in poverty in the USA. -A child’s education ($32): Education is so important and giving children that chance helps a child reach their full potential. -Beehive ($150): Beekeeping is a sustainable, year-round way to generate income and is a great source of nutritious, medicinal honey and beeswax. -Traditional water well ($13,700): A well can provide more than 2,800 gallons of fresh water every day – enough for up to 300 people – for years to come. These self-sustainable gifts help in more than one way. Not only do they help people stricken in poverty by providing them food, education, shelter but these products are also produced locally, meaning that the locals earn income. 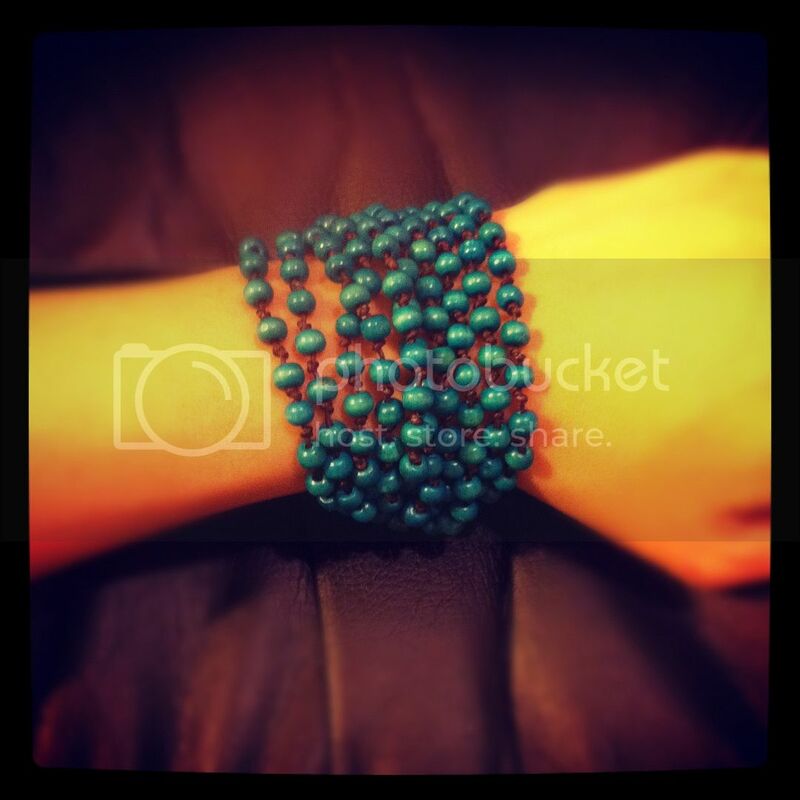 I was sent the Thai 6" bracelet in turqoise to review. This is a beautifully hand crafted piece, tied with delicate wooden beads made in Thailand and are part of a project to prevent sexual exploitation. The donation value for this piece is $40. I love the bracelet. Its quite intricate and unique...not to mention, the donation goes towards a good cause! There are two cube-shaped wooden pieces at the end of the bracelet that you use as "hooks" to close the bracelet and allows you to adjust the diameter of the bracelet. I can't wait to wear this out! Win It: 1 Whirlwind of Surprises' reader will get the chance to win this gorgeous bracelet ($40). Come back to enter the giveaway! Make it easier on yourself by showing the sponsors some love now: Like World Vision on facebook. Follow @WorldVisionUSA. I love this bracelet and the philosophy behind World Vision is wonderful! World Vision is a wonderful charity that supports so many great causes. Such a great way to help out. Especially with things like a goat that can give and give for years to come rather than help out for just one time! Wouldn't it be amazing to give the gift of a Traditional Well!? How wonderful that there are ways we can help. I might suggest to our family that instead of gifts next year we just pool our money together and buy something from this catalog. And though we probably won't be able to purchase a well, we'll still be able to make a difference in someone's life! A fantastic review. The help so many ways. I'm going back to their web site and go over their projects. Happy Holidays. What a beautiful bracelet and I love that my money also goes to such a great cause!